A volunteer group tags black sea turtles off Baja California, Mexico, helping local conservation efforts and inspiring one traveler along the way. Assistant Editor’s Note: The following article by Kate Siber originally appeared in Wild Hope, a publication by ATTA Member SEEtheWILD, and chronicles the important community conservatorship-building and environmental work that ATTA Member RED Sustainable Travel is doing. 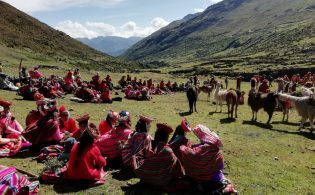 ATTA finds great value in such case studies that illustrate how local populations can be turned into stewards and protectors of natural resources while earning a safe and sustainable income through tourism. RED Sustainable Travel also provided some of the Pre-Summit Adventures for the 2011 Summit in Mexico, and hosted the ATTA Team during their 2012 Annual Planning Retreat. Years ago, Julio Solis used to eat sea turtles. Sometimes he and his friends and cousins would catch one in their net while fishing in Baja California’s Magdalena Bay; other times, they’d spot one at the surface of the sea, jump in, and wrestle it onto the boat. They’d bring the ponderous creature back home, hoist it onto land, and break it open. It would take hours to prepare the sea turtle stew, caguamada, with onions, carrots, tomatoes, and a rich, spicy broth. Come nightfall, they’d savor it with their families — thick, chewy, and marinated by the flavors of the sea. On a cool morning in October, I sat on Julio’s panga, speeding across the white-tipped waters of the Pacific toward a turtle net. With gold teeth, a wrestler’s build, and a poker face interrupted by brief mischievous smiles, Julio could have walked straight out of a hip hop video. But his intimidating visage belied a soft spot. We were hoping to catch turtles, but this time we didn’t plan to eat them. 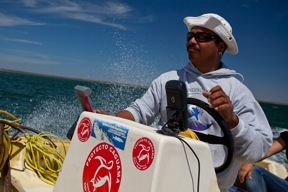 At the mouth of the estuary where we had dropped the nets a few hours before, Julio cut the engine to a low putt. His friend Nolberto Flores pulled the long net up, hand over hand. Nearby, only a handful of floating pelicans punctuated the stillness of the water. In the morning light, I kept my eyes glued to the sea, watching for the bubbles of a sputtering, pissed-off turtle. But eventually Nolberto came to the buoy that marked the end of the net, and there was nothing. The turtles had eluded us once again. Julio is a reformed turtle poacher who now acts as a community leader of Grupo Tortuguero, a Mexican sea turtle conservation group. For a 24-hour period each month, he and Nolberto catch turtles; weigh, measure and tag them; and then release them back into the wild. 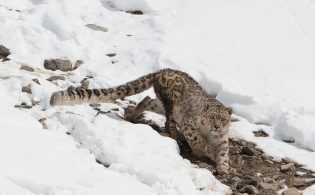 The data they collect helps researchers from organizations like the International Union for the Conservation of Nature (IUCN), the Mexican Ministry of Environment and Natural Resources (SEMARNAT), and the National Oceanic and Atmospheric Administration (NOAA) monitor populations of the endangered species. I was there with a group of volunteers to help and to learn. The trip was made possible by an unusual new nonprofit organization, RED Sustainable Travel. RED’s founder, Chris Pesenti, worked for conservation groups in northwest Mexico for years and realized that traditional tactics were incomplete, in part because they didn’t take economic needs into account. Pesenti decided to expand the model and link communities’ financial hopes with environmental goals such as species and habitat protection by developing conservation-friendly jobs in the tourism industry. RED was born in 2009. Now, it builds community-owned tourism businesses in northwest Mexico by training guides, providing education in administration and tourism operations, and managing bookings and promotion. In Magdalena Bay, for example, RED teamed with Grupo Tortuguero, helping the group establish a low-impact tented camp to host volunteers, who help tag black sea turtles (a sub-species of green turtles) and learn about the ancient creatures. Volunteer fees go to the conservation program, and staffers’ incomes show locals that sea turtles have value beyond the dinner plate. Though I was there to help, the trip could hardly be called work. The setting was straight out of an airbrushed postcard of some far-off paradise — and felt just as remote. From La Paz, on the eastern side of the Baja Peninsula, it’s a three-hour drive across the desert, bleached like old film, to San Carlos, a small fishing village on the Pacific Ocean. My group of seven independent volunteers, who hailed from all over the country and the world — Washington, Colorado, Atlanta, and Scotland — arrived on a breezy sun-soaked day. We loaded our packs into Grupo Tortuguero’s panga and let the salty wind lash our faces on the 25-minute ride to our temporary home: an islet smaller than a football field, anchored by mangroves and ringed by a beach of tiny white shells. It was one of many such islands dotting the bay, separated from each other and from the mainland by a labyrinth of small channels. Judging from the view — nothing but sea and a maze of mangroves — we might as well have been 1,000 miles away from civilization. For lunch, we sat under the shade of a dining tent and downed fresh-caught clams with homemade salsa and guacamole. A mere stone’s throw from shore, a pod of dolphins cruised by, frolicking where we had swum just minutes before. The channel is full of marine life, and even gray whales occasionally swim through. In the last few decades, however, due primarily to overfishing and pollution, some of the marine life has declined — most notably, turtles. More than a decade ago, Julio had a chance encounter with two charismatic researchers, Dr. Wallace J. Nichols (a leading ocean conservationist and co-founder of SEEtheWILD) and Dr. Jeff Seminoff (currently director of the marine turtle research program of NOAA’s National Marine Fisheries Service). 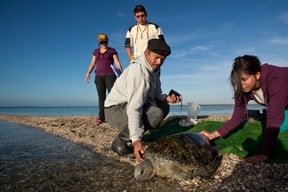 Nichols and Julio collaborated on a range of research and conservation projects for nearly a decade, during which Julio honed his field skills and developed a deep love for turtles — and their conservation. “Ten or twelve years ago, every fisherman was catching the turtle,” said Julio, sipping a Corona and looking out at the sea, his belly full of clams. “Now, the black market go down.” Though Julio was the program leader, there were other staffers on the island, including talented chefs and a biologist, Alejandra Vovides, who gave us a primer on sea turtles after lunch. 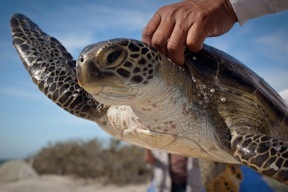 “There are six species of tortugas in Mexico, and five of them come here to Magdalena Bay,” said Alejandra, who also acts as RED’s training coordinator. Black turtles are predominant, but leatherbacks, loggerheads, hawksbill, and olive ridleys also come to feed among the nutrient-rich mangroves. The species have a remarkable diversity of habits. Some prefer jellyfish; others munch sea grasses. Some are homebodies; others wander to Japan and back in a lifetime. They offer important services to humans, such as controlling jellyfish populations, which scientists predict will proliferate as sea temperatures rise. But as ancient and tough as they seem, turtles are terribly vulnerable. They have been overfished, worldwide coastal development has decimated their nesting zones, and predators eat them in droves, from raccoons that prowl for eggs on shore to sharks that hunt them in the sea. Many human cultures have also grown to love their meat. To make matters worse, it can take more than 25 years for turtles reach the maturity to reproduce, which makes populations slow to bounce back. 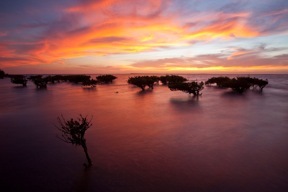 Magdalena Bay is an important refuge for the reptiles — its mangroves produce food for turtles and a cornucopia of marine life. Scientists estimate that each hectare is worth $37,500 annually in fisheries, which go to seafood markets across North America and Asia. The next morning, we dropped the nets at the mouth of the estuary, about a mile from our islet, and every hour we came back hoping to find turtles. Sometimes Julio and Nolberto find a dozen turtles in a day; other times they find one. It was a pleasant sort of anticipation, and though we continually returned to the island empty-handed, there was plenty of other wildlife to witness. On evening hikes through the desert, we chased the tracks of rabbits, bobcats, and mice and inspected cactuses so otherworldly they could have been drawn by Dr. Seuss. I sat on the beach in front of my tent watching the sunset cast rich hues across the horizon, then waited as a giant amber moon rose over the water. A huge flock of black-crowned night herons frequented the island, making a racket before settling down in the quiet of moonlight. And in the middle of the night, I would wake to the sounds of a distant pack of coyotes yipping and howling, their voices traveling across the water, unbroken by civilization. During the night hours, the other volunteers and I took turns waking up and motoring to the net to see if it had snagged any turtles. Just after dawn, my turn arrived. With Nolberto and volunteer Dan Moore, I sat sleepily in the boat until we noticed a commotion in the net: a turtle! Nolberto hoisted her, hissing and snapping, up out of the water, and Dan and I helped place her in the bottom of the boat. She calmed down and we tenderly inspected her. Her shell shone as if waxed, a patchwork of tough skin covered her head and fins, and her eyes were dark and shiny. She seemed at once wonderfully exotic and strangely familiar. Back on the beach, Dan and I measured the turtle’s carapace, head, and tail with calipers. We weighed, tagged, and photographed her, marveling at her heft. Being so close to such a wild creature felt like a secret window into an ancient world. When we were done, we let her go on the beach. She hurried awkwardly to the sea, then turned graceful in an instant upon hitting the water. I watched, almost wistfully, until she disappeared. Before we left the next day, Nolberto took us to the outer edge of the bay, to a beach that faced the full breadth of the Pacific Ocean. We climbed up and down the dunes, unmarred by human footprints and scored with wind ridges. There was little to interrupt the landscape’s simple colors of sand, sea, and sky. As the rest of the volunteers launched themselves off the dunes, I walked down the beach, stretched wide at low tide. There was no one around for as far as I could see. I stopped to watch the waves crash, and it was then that I felt the full wildness of the landscape, a place where ancient creatures like turtles have found refuge for millennia — and, I hoped, for many years to come.